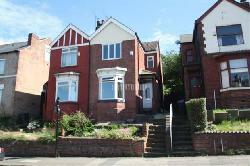 I live in a 1930s built ex council house. The roof is a similar style, and many of the houses in the street have had to have steel rsj added to support the (don't know the correct name) sticky out bit of roof at the front, as original timbers weren't big enough to carray the weight. Don't know if this is the problem or not. Was only a thought. .. They do look like heavy concrete tiles where the neighbours are perhaps slates? Difficult to tell from pic. have they replaced lighter tiles with heavy concrete tiles ?? I agree with woodsmith. Get someone to look at the cracks. I suspect it's not a difficult job to fix so if someone tells you the whole roof has to come off get a second opinion. Hello thank you for your reply . I can confirm that the timbers are dry . It's just the way the photos look that makes it look dsmp . This doesn't look good and I would get someone in to look at the problem asap. 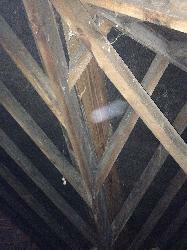 Although it is difficult to tell from the photos it looks like the wood is consistently wet throughout the loft, this is a sure sign of condensation forming within the roof space. 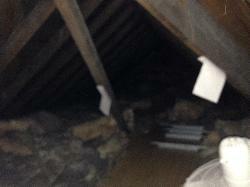 This is caused by too little ventilation in the loft and too much warm moist air getting into the loft from the house. This problem is made worse when you add insulation if a vapour barrier is not fitted under the insulation. If you have or know someone who has an electrical multimeter, ( a simple one is cheap to buy) set it on ohms and push the two leads into the timber, if you get a reading then the wood is wet, dry timber will measure infinite resistance and wood in the loft should be dry. 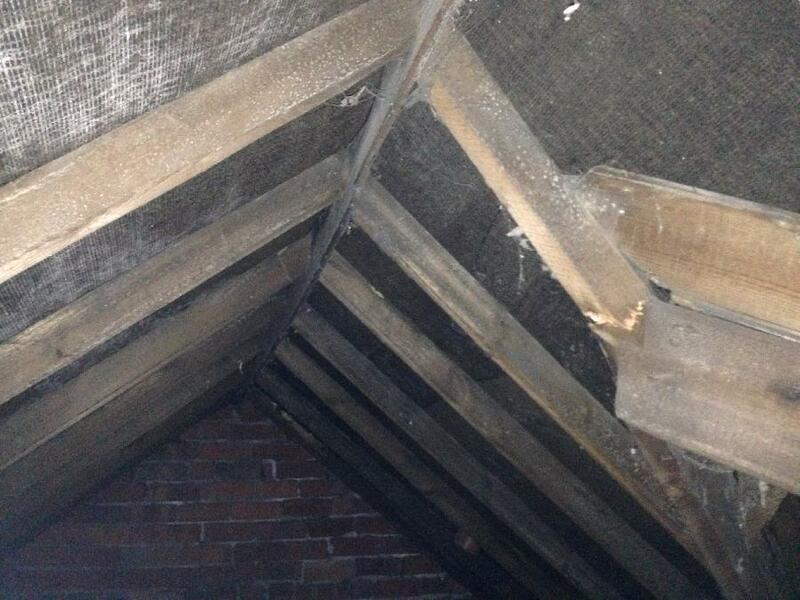 If the wood is completely dry it may mean that the roof just needs a couple of braces around the cracks, if the wood is wet enough to have weakened then you could have a much bigger (expensive) problem to deal with. hello i have noticed some cracking in the roof space of my house. could anyone tell me if this is safe because it looks as if the crack is getting worse and causing other timber to crack.in my gallery you can see the first picture is the timber with the worse crack . the second picture shows where that timber runs to and the 3rd you can just see the timber behind starting to crack . thanks in advance for any replys . i should mention there are two sections to the roof one at the rear and the apex coming off this going forward ill try and get a photo uploaded so you can see what i mean.